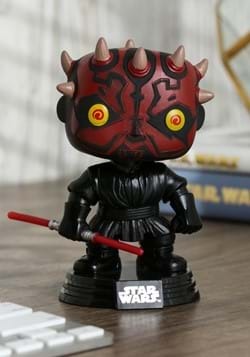 If Darth Maul is trying to look intimidating, then he certainly doesn’t need any help with that look. Criminy! That guy looks like some kind of demonic creature, straight from the depths of the underworld. Do you think that ever gets him into trouble? Like, does he ever just get attacked by Jedi Knights when he’s out buying groceries, because his whole style basically just shouts, “I’m a bad guy!”? Does he try to hop on an airliner, only to be “randomly” searched to see if he has any lightsabers in his possession? Probably, but you can bet anyone facing off against the guy is shaking in their boots with a single glance at him. Do you want to command that kind of terrifying style? 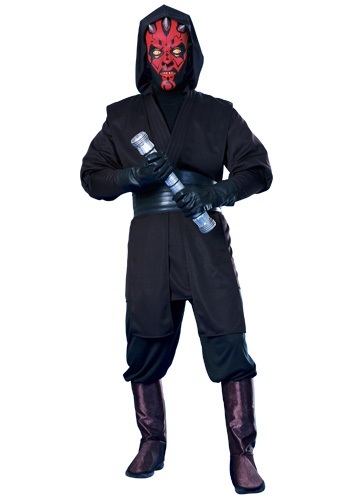 Well, then you just need this deluxe Darth Maul costume, which is officially licensed from the Star Wars movies. It comes with a black tunic that has an attached hood, perfect for concealing your identity when you’re trying to do non-Sith stuff in public. 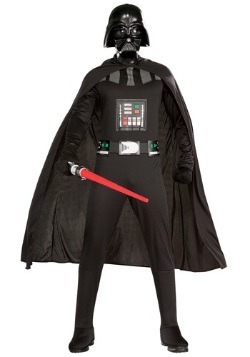 It comes with matching black pants, which are much better for mobility than Jedi robes. It also comes with a molded rubber belt that fits around your waist. 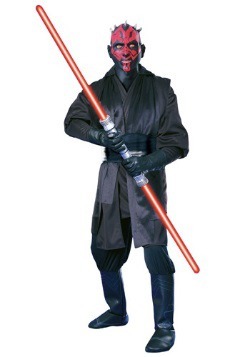 The final piece to the outfit is a molded PVC mask that’s shaped like Darth Maul’s intimidating face. 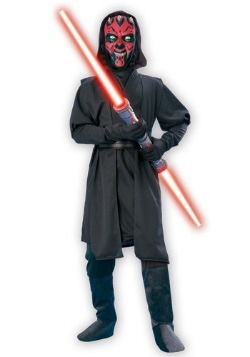 It has the red and black paint scheme and the Zabrak horns molded into the front for a complete look. 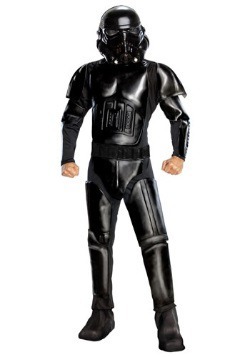 Of course, you’re going to want to brush up on your lightsaber skills before taking on any Jedi Knights, but you will at least look the part of Palpatine’s protégé when you wear this licensed Star Wars outfit. Standard - £58.99 X-Large - £58.99 Only 6 left!